Disney Cruise Line is bringing back its Star Wars Day at Sea and Marvel Day at Sea events for select cruises to the Caribbean and Bahamas next year. The cruisers aboard the Disney Fantasy’s seven-night Caribbean sailing from Port Canaveral, for instance, will be treated to a day-long event in which they’ll be able to meet their favorite Star Wars characters including Darth Vader, Kylo Ren, Chewbacca, C-3PO and R2-D2. 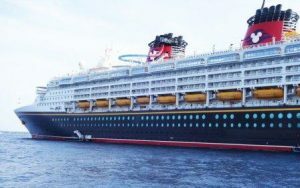 After a day of live shows and family-friendly Star Wars-themed activities, the cruise will host a deck party and end the night with a fireworks show. Marvel Day at Sea also brings the Marvel Universe to life with a day-long celebration that will include newcomers Captain America, Spider-Man, Iron Man. The Marvel-themed event will be held aboard Disney Magic Sailings in the Caribbean and Bahamas departing from Miami.